Having evolved from Lucknow, chikan kurtis have been every girl&apos;s fave summer fashion fad! From the elegant 60-year-old aunty to freshers in college, these kurtis have become a staple must-have in everyone’s closet. 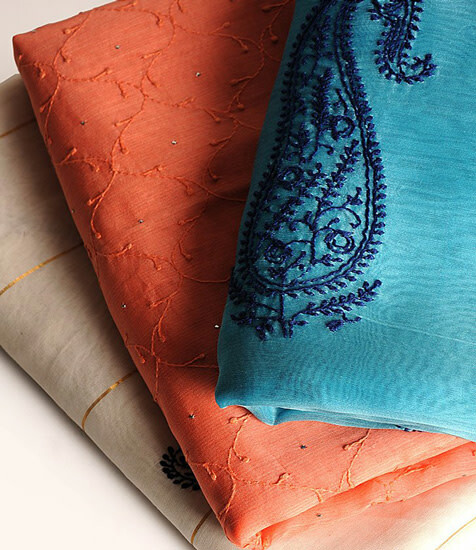 We’ve curated a list of 5 places in Delhi where you can get the best chikan kurtis. So go ahead and see for yourself! Remember the super pretty Shilpa Shinde from last season of Big Boss, who won a million hearts with her chic and simple, casual kurtis that she pulled off so effortlessly? If you’ve been wanting to get that look, then let us tell you that her outfits were from this cool online store which not only deals in chikankari kurtis, but also boasts of a HUGE range of chikan sarees, dupattas, tops and even fabrics. So go check it out right away! 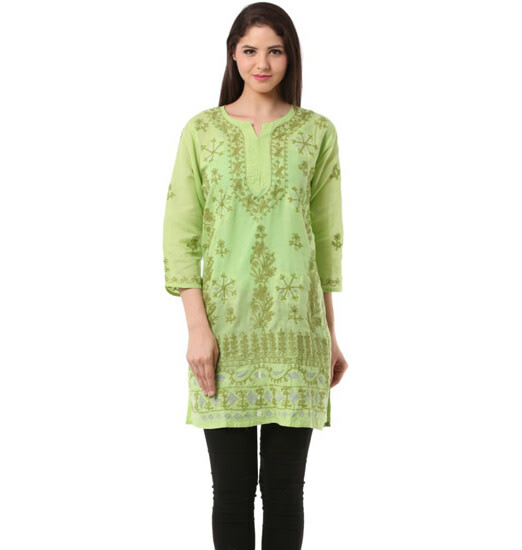 Voonik is an online shopping portal that has an amazing range of chikan kurtis. And if you, like us, hate to step out in the heat to shop then this website is perfect for you! You can narrow down your search by colour, style and price - how cool is that? So login and browse through these pretty kurtis! These peeps understand that the beauty of every Indian woman lies in the colourful apparel, the soft fabrics and the stories that inspire those clothes and that’s why they’ve poured in magic in every piece they weave. From subtle shades to intricate embroideries, we’re madly in love with their collection. 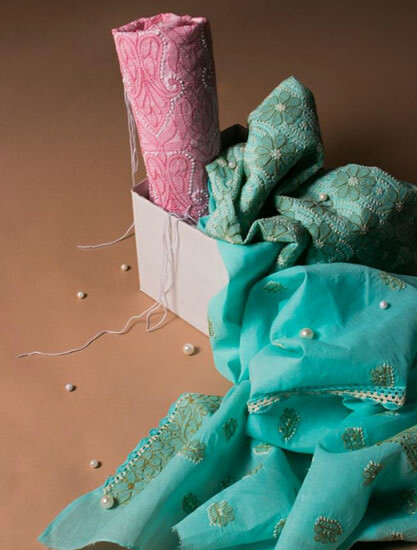 Get their chikankari kurtis to amp your summer game! These guys are quite popular for their high-end kurtis and one look at their collection will make you understand why! 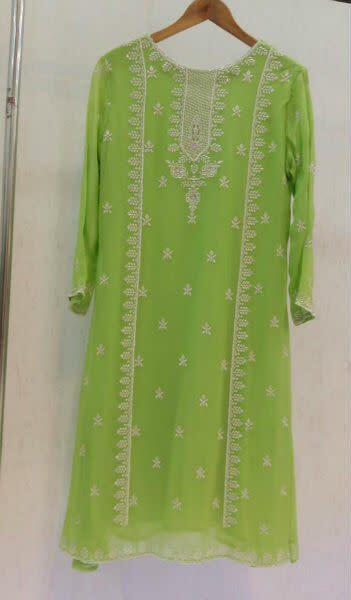 They have kurtis for office wear, casual wear and even for parties. Each and every piece is finely crafted so that it lies soft against the skin and gives you the perfect fit. They&apos;re super-light in weight and made from genuine graded fabrics. Treat your inner shopaholic and add a few *or many* kurtis to your wardrobe! 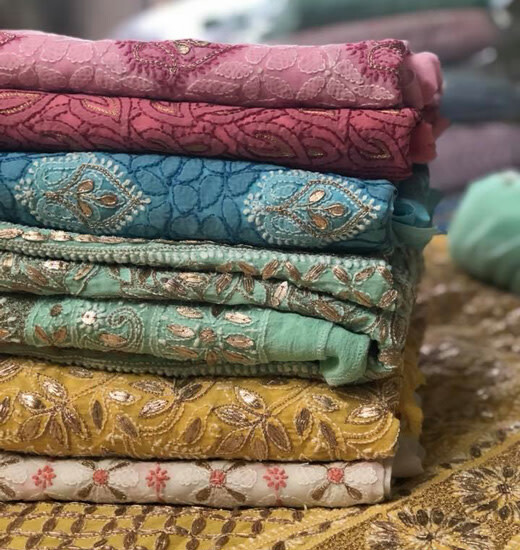 Located in Gurgaon, this store has everything from printed, solids, textured, handloom, cotton, gold block, pin-tucks, embroidery and much more when it comes to fabrics, but we fell in love with their chikankari kurtis right away. The aqua blues, the cool greens and the super pretty pinks kurtis will defo steal away your heart, so keep your credit cards handy ladies! Visit these websites or head over to these places and pick the best chikankari kurtis and slay this summer!